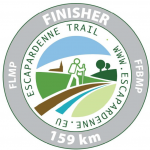 Following to a partnership with the Belgian and Luxembourg Federations of Popular Walking, it is now possible to win a special Escapardenne hiking certificate for anyone who has walked the entire Escapardenne Lee & Eislek Trail (159 km). At the end of each stages, you only have to go to one of the project partners (Control points). By showing your passport, you will get a stamp for the stage completed. 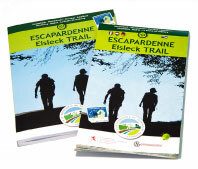 After you have completed the 8 stages, you need to showing your hiking passport in one of the tourist offices of Ettelbruck or La Roche-en-Ardenne. If you have the eight stamps, you will also receive IVV validations, a certificate and an embroidered badge.